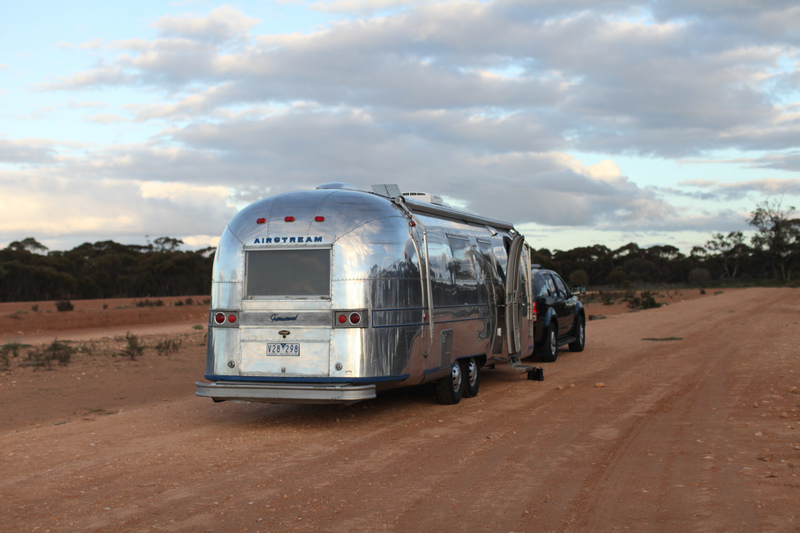 We’re one week into a 2000 kilometre road trip from Melbourne to the Red Centre and a laissez-faire attitude has already kicked in – out of necessity. So far we’ve made it just 9 hours drive from home. From a snapped bracket on our hitch on day one, to losing all our marker lights on day three. Followed by a slowly deflating tyre, a broken pantry, flying cupboards, leaking grey water and today a broken toilet. We seem to have some kind of new drama every day. We’re now in Broken Hill (yes the irony of it is not lost on me). Fingers crossed we can get this lemon Wallabee back on the road soon. So nice to hear from you. This is the first time we’ve had internet since meeting you. Your wonderful bus will be coming next! Bugger! Traveling light is good practise on outback dirt roads. Try to stick to the bitumen, Sonn. With out shocks, vans can shake to pieces on just springs, guess you know that now. What a great experience and adventure! Yes we’ve definitely learnt the hard way. And the corrugated road between Mungo National Park and Pooncarie just about killed us! Wallabee still looks very impressive despite some warming up issues, remember the best stories come from adventures that don’t run so smoothly. Enjoy and we will catch you somewhere soon! Oh so sorry to hear of your troubles! We had some too and it is very frustrating so I feel your pain! Hope everything is going well now! !